Hello, world! It’s Friday 4th August and just like every other Friday, we’re back with our weekly tech news round up. This week’s news covers a lot of stuff from “the underdogs” of the tech world. 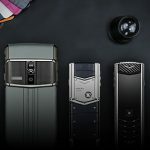 The list includes Vector launching its first rocket successfully, Google to start policing apps on the Play Store, Microsoft doubling down on Remix 3D content, Yelp selling Eat24 to GrubHub for $287.5 million, Tesla Model 3 finally hits the road and Facebook now bringing Snapchat-like features to the desktop. That’s a lot of exciting news we’ve got to cover, so without further delay let’s get right into it. In the past decade, the interest in space exploration has risen again. Now that all major economies of the world are out of a fiscal deficit, they’ve started looking at space as a new frontier to conquer. Also, with the costs coming down it’s never been more economical for countries to do so. In recent years we’ve seen several private companies like SpaceX and Blue Origin spawn up with the promise of making space exploration accessible to the common man. Well, this week another player has entered the arena. 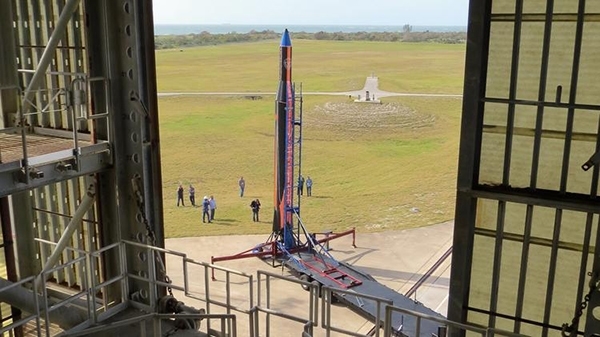 The micro satellite launch startup Vector, founded by veterans of companies like SpaceX, Boeing and Virgin Galactic and other aerospace leaders, made its first successful launch this week. This launch is noteworthy in a number of ways. This launch is a first for Georgia’s Spaceport Camden, which earlier used to serve as a static test fire site for NASA’s solid state rockets in the early 60’s. Victor’s goal is to become a commercial launch provider almost like SpaceX. The test flight that was conducted this week marks considerable progress towards that ambition. The flight also included onboard commercial test freight and payloads from multiple companies. Vector says it’s on track to hit its target of achieving orbital launch capabilities by 2018. The first flight included the demo of a 3D manufactured engine injector which was developed in partnership with NASA’s Marshall Space Flight Center. The goal of the startup is to launch rockets for as low as $3 million which when compared to SpaceX’s $60 million for the Falcon 9 seems over ambitious. The startup has raised $21 million in funding from Sequoia. Ever since the inception of smartphones, there’s been a war among enthusiasts to decide if iOS is better or Android. But speaking realistically, a lot of metrics need to be taken into account before making that call. One of the most important ones happens to be user experience which in simple terms asks how satisfied are your users with your product? This, in turn, boils down to how the platform ensures quality measures. If you look at iOS it’s been inherently strict towards app publishing, making sure that what goes out on the platform is simply the best and does not annoy users. This is what makes Apple boast about 95%+ customer satisfaction rate for the iPhone. On the contrary, Android has inherently been open and all you need to do to get on the Play Store is pay a one-time registration fee of $25 and in no time your app will be live and accessible to more than 2 Billion users. If you hear people complain above Android phones and praise the iPhone, one of the driving factors is this very fact. The absence of a quality control factor significantly increases the chances of you, a user downloading a poorly built app. With every day that passes Google is getting all the more serious about the quality of service on Android and this is why it has started policies on the Play Store to avoid poorly built apps from surfacing on top. When I say policing, it simply means that better performing apps will be ranked higher than the ones performing poorly. The goal with this new ranking algorithm is to ensure that the best apps get promoted. This comes as a realization that almost half of the 1-star ratings are due to stability issues on apps. Apps that don’t work well, frustrate their users who head over to the play store to vent their frustration in terms of ratings. The new ranking algorithm will in a way force developers to address the issues in their apps. Google says that it’s looking at a variety of metrics related to an app’s performance to determine the ranking. For instance, it will now take into account things like crashes, battery usage and a number of uninstalls among other things. The search giant has rolled out this change to a subset of users and is already seeing noticeable results. People who installed higher quality apps would end up using them more. 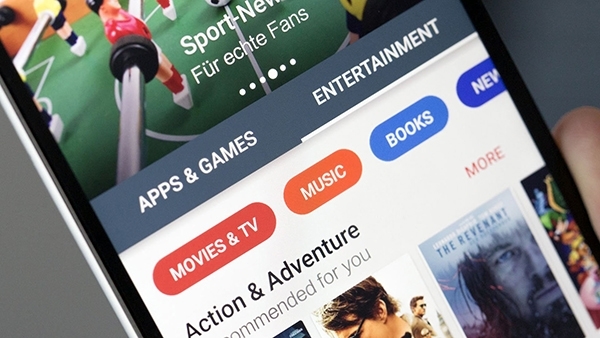 The Play Store boasts well over a million apps which mean there definitely will be a problem of discovery via charts and featured selections, the introduction of the ranking algorithm will now help stable and better-performing apps rise up to the surface more quickly. 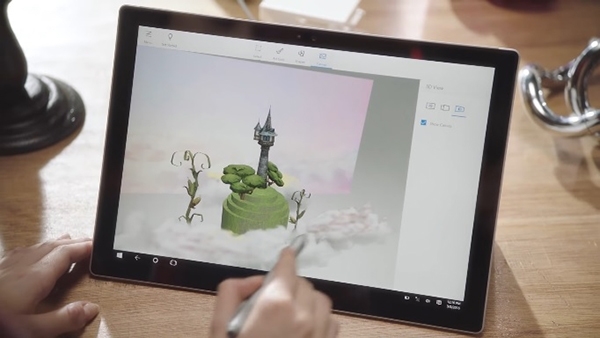 With the introduction of Paint 3D Microsoft also announced Remix 3D, it’s very own community site for sharing 3D models from Paint 3D and other similar modeling tools. Given that, the company is focusing a lot on mixed reality and virtual reality, it’s a no brainer for the company to start pushing users to create more 3D content. The idea behind Remix 3D is to create a repository of 3D models that the users can then “remix”. To make the process easier Microsoft launched an update to the service to facilitate the goal. Yelp which is like the Zomato of the States ( although I’m not sure that comparison is fair) it’s one of the first things that pop in your Google search results when you’re looking for a restaurant. This week Yelp made some big news. GrubHub is acquiring Yelp’s food delivery service, Eat24 for $284 million. 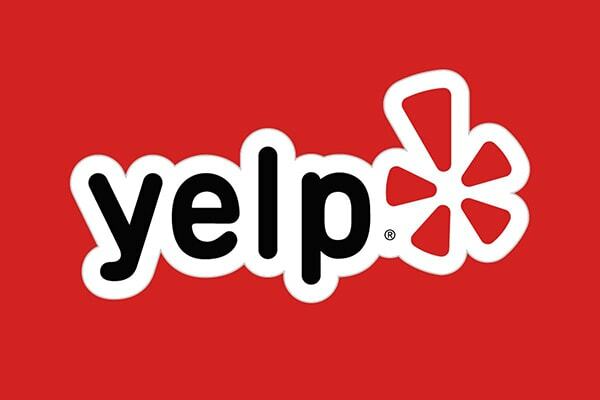 Yelp has always been a service which is content centric. It’s been about users trying to gather information about a restaurant. With huge competition in the food delivery space, Eat24 grew to become a mismatch for the company. It made sense for Yelp to hand Eat24 over to someone with more expertise in the field. This is where GrubHub came to the rescue. GrubHub which already controls a large part of that network due to ownership of AllMenus, MenuPages, and Seamless, will now have more in terms of outreach and logistics. The deal is still up for regulatory approval but it sky-rocketed Yelp’s stock nearly 20% in after hours trading. Ten years ago, Tesla set out its master plan to make electric cars mainstay and 10 years hence that master plan is now a reality. The Model 3 is now hitting the roads. Tesla held a small event to hand over the first few cars right off the assembly line to customers and this was the first time we got a look at what the production model would look like. And at first sight, it looks like the most minimal thing ever, almost like a Buddhist monk designed it. 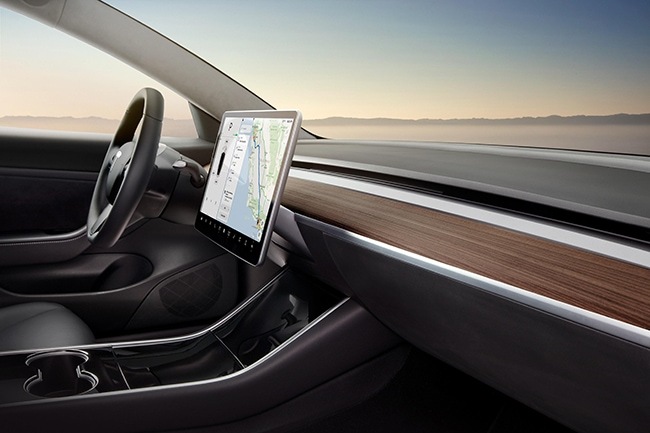 On the interior all that’s there is a 15-inch touch panel. All controls are available as on screen control. The car is so minimal that it does not even have a key. You use an app on your smartphone to turn it on. The car comes in 2 variants, a standard version, and a long range version. The standard version costs $35,000 and has a 220-mile range while the long range variant retails for $44,000 and has a 310-mile range. If you order a Model 3 today, you will get your hands on it sometime next year. Tesla also mentioned that the Model S and Model X are currently in production so if you do place an order for either of them, you can expect delivery in a month. Regular readers of this blog would be no strangers to our rants on Facebook’s attempts at cloning Snapchat. They integrated Stories into WhatsApp, then Instagram and then on their own apps Messenger and Facebook as well. I’m not sure why but it definitely seemed like they were threatened by Snapchat’s growing dominance in the teenage group. Well according to rumors and speculations, Facebook is just around the corner in terms of crossing that extra mile in terms of copying Snapchat. They’re bringing Stories on to the desktop. TechCrunch confirmed that a desktop version of Stories is currently being tested. 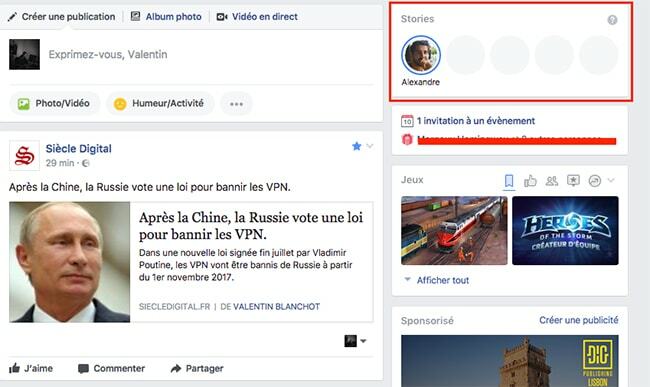 As seen in the screenshot above, Facebook is going to place Stories on the top right-hand side of the News Feed, this way it won’t get in the way of your actual consumption of content. This is the first time in the history of Facebook that the company is going ahead with a feature which its entire user base seems the most disinterested in. Stories are expected to hit the desktop site soon and while it’s not a welcome change, avid Facebook users will just have to learn to live with this bloat of a feature somehow. That’s all for this week’s tech news. I will see you again next Friday.